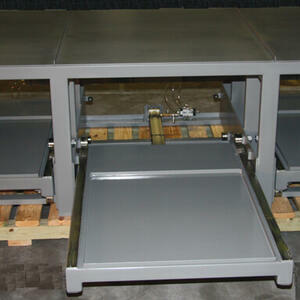 Pneumatic roll-out shelving racks arrive at your facility fully assembled and requiring only 90 PSI to operate. This 5,000 lb. capacity shelf is used for large injection mold storage.